Your community is a fact. You’re successfully attracting like-minded members and companies that help each other grow. You’ve established processes that bring value to members in each stage of their journey with you. You’ve learned how and why to extend your community beyond the borders of your space. In other words, you’ve covered the 3 essentials of every successful coworking community. However, building an outstanding community is not a one-time project. Although nailing the essentials is key, they only provide you with the foundation on which to build, not the whole building. Achieving high engagement that leads to knowledge share, business opportunities and improved well being is the true goal, and it requires constant effort. Strengthening connections between current (and hopefully former) members by increasing members’ visibility and nurturing collaboration. Adding additional communication channels that can help you keep members informed about news, events, maintenance or any other relevant info in a consistent but not a pushy way. Why those 3 exactly? In coworking, the real magic (and engagement) happens offline. Often you’ll meet a coworker during an event, have a talk and discover you have the same interests, and/or can help each other by sharing skills and knowledge. But what comes next? You would need to have a simple way to find more information about this person or his company (visibility of members and companies) and continue the communication. Being able to keep in touch with him/her online organically eases further interactions (available forms/types of interaction). Also, you’d like to stay informed about similar events that obviously bring value to you. So you’ll want to be notified somehow with different types of notifications for new activity. To identify the best suggestions for a technology that can help with the above, we had to better understand those 3 aspects (we call them engagement mechanisms). So, we did a bit of historical research on how online communities developed over time (you won’t believe it, online communities have their roots in the 70s!). We also came up with a few criteria to help us narrow down our research based on what’s important for coworking communities. Long-story-short, we ended up with 3 “types” of online communities that developed the most important engagement aspects for coworking communities. Social Media is most superior as expected because it supports the highest amount of engagement mechanisms. It’s the latest evolution of online community and is clearly a must-have if you’re developing one. To successfully engage your coworking community, you’ll need to use multiple tools. Below we’ve listed the 3 online engagement tools that are essential. Also, we’ve pointed out some things to have in mind when choosing a specific vendor platform. *We’re not mentioning email anywhere, as we assume it’s a channel that every business nowadays uses to contact, nurture and notify its customer and prospect base. You’ll probably want to use a single social media platform, so you don’t spend tons of time managing multiple. How to choose the one that will work best for you and your coworking community? There’s one single fundamental requirement that can help – you should be able to create Groups. Groups allow you to gather people together in one online place, where they can see other members and interact with each other. LinkedIn allows you to find professionals easily. You can search by name, job title or company (which is probably something you know since you’re coworkers), which comes handy when you have a group with 100+ community members. However, have in mind that LinkedIn is primarily used by people in the B2B sector. If the bigger part of your audience is not B2B, there’s a high chance they’re not using it very often (or may not have a profile at all). Messaging is restricted by connections: LinkedIn allows members to exchange personal messages. Also, even though they’ve switched to real-time messages as well, people still regard a LinkedIn message as something more official (i.e. an “InMail”), which is very helpful when you’re messaging someone at (co)work. But if you don’t have a “1st connection” with a person, you’ll have to connect with them first to be able to exchange messages (for free). Notifications are in-app, push and email. Have in mind that people spend less time on LinkedIn than on Facebook. There’s a higher chance they won’t have the LinkedIn app to receive messages from coworkers and push notifications. Also, most LinkedIn users are sensitive about the type of notifications they receive. They don’t tolerate notifications that are not related to professional topics and don’t bring value. Member visibility might be limited by profile privacy (some people choose to expose only their names and profile picture). This might make it hard to find someone you’ve had a talk within the hallways if you don’t remember their name. But on the other hand, there’s a higher chance you’ll be able to add more people from your community in the group, as (almost) everybody has a Facebook profile. You can message anybody, which makes connecting with people easy and fast. Something to have in mind though is that if you’re not friends, your messages might end up in the “Other” inbox, which people rarely (or never) check. Although Facebook sends notifications when someone wants to connect with you that way, it’s still possible to miss them. Notifications are in-app, push and email. People usually spend a lot of time on Facebook as it touches upon many aspects of their life (personal, social, professional), unlike LinkedIn which is focused only on the professional aspect. This generally means that chances of people seeing your notifications are higher. In addition, almost everybody has the Facebook and Messenger app installed, which means that your push notifications have a higher chance of notifying people about important updates, news, and events. Also, Facebook users tolerate any type of notifications, meaning you’ll be OK with sending notifications about anything. Extra bonus: Facebook allows you to create events. It’s an awesome mechanism to inform your members about an upcoming workshop or a happy hour gathering in the space. It’s cool that only people who have marked themselves as interested or going will receive notifications and updates about it, so you can be sure you do not bother all other members who are not interested in the event. Although social media provides a lot of communication opportunities, introducing an additional chat app can boost engagement by offering one-to-many communication in real-time. You can create channels based on interests, where people can discuss and share information. There are a number of chat tools that can do the job, but it’s best to choose the one that your coworkers are already using. Example: given that the biggest audience of coworking spaces is still IT/Technology and Freelancers, choosing Slack might be a good bet. It’s best to run a survey and double-check though. 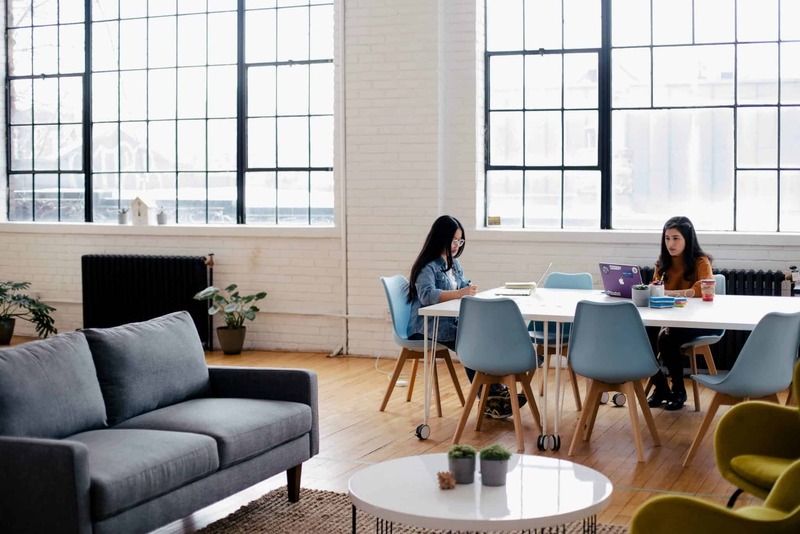 Once your community grows above a certain level, you can also think about introducing a community management platform that is tailored to the communication needs of coworking spaces. Curating and visualizing important information (such as how-to guides, events and maintenance announcements) in a way that is not limited by the standard functionality and layout of social media and chat tools. Improve exposure of members and companies by providing coworkers with the ability to search the group (your community) as if they are using the general search of Social Media, or better yet – search for a particular skill-set and domain expertise. Integrating with solutions such as the Freckle Dashboard that allows you to distill and expose specific information via screens in prominent places in your space. Integrating natively with Slack or any other chat tool. This provides an easy and intuitive way for members to start a conversation just by clicking on an icon located in their coworkers’ profile. 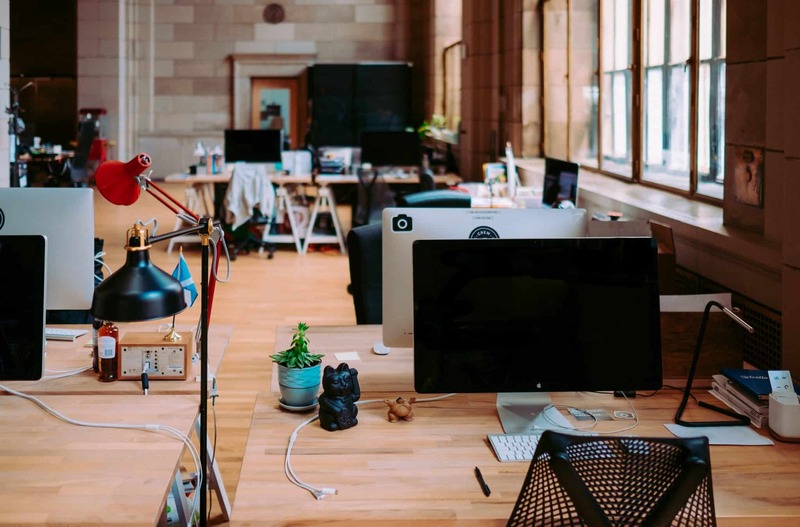 If you’re curious about the nitty gritty details on how OfficeRnD help with the above you can check out our coworking community management page. Even though the spark of a new coworking acquaintance (almost) always comes to life when people meet during an event or in the hallways, the interactions that follow are crucial to establishing a meaningful relationship. If properly used, online tools and platform can provide the necessary channels and information to nurture interactions, helping you build a vibrant community that serves as a key differentiator of your business. What is your first-hand experience with running an online community? Let us know in the comments!